The cryptocurrency Bitcoin has soared by 180% in the past five months, to reach the value of £2,050 for an initial £1.38 value, so if you’d bought the currency in 2010, let’s say £77 of it in May of 2010, you’d be worth a staggering £56million today. Plus, since last Friday the currency has shot up by 30%, due to the surging demand of Bitcoin, that people can use on Amazon to make purchases and some even use it as a currency to purchase things on the deep web or dark web (whatever that is). According to Reuters, the statistics show that those who bought $100 of Bitcoin at price of 0.003 cents, would now be sitting on $73 million, should you wish to smack yourself aside your own head and regret that you didn’t buy them in American Dollars at that time, either. So, by now we should all be feeling almost physically sick, whilst you read this and wonder why you didn’t buy the damn Bitcoins seven years ago, regardless if it was in Pounds Sterling or in US Dollars. 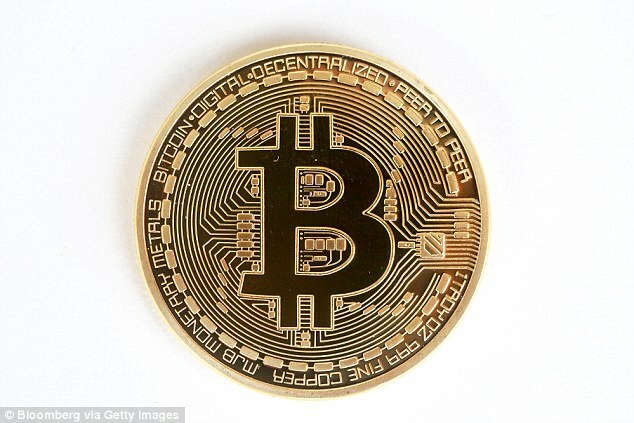 Bitcoin which was created in 2009, is a virtual currency that is free from government interference and can be shared at the touch of a button online. Naturally, upon the emergence of this new form of paying for things, it was met with much resistance, but seemingly the online value of the Bitcoin has been resilient, as have its users. To ensure that the Bitcoin always retains its monetary value, no more than 21 million Bitcoins have ever been created, so in that, the value of the currency wildly fluctuates up and down, depending on the supply and demand. That’s the market, so it’s not like the Federal Reserve, ya’ get me? The underlying technology of the currency runs on blockchain which is financially maintained by a network of computers that can monitor and track the movement of any Bitcoin assets without the need of a central regulatory bank. This is of course, why the online currency has been met with resistance, as we’d only need to think of an example of what happened to Muammar Gaddafi, after he was rumoured to be making the gold Dinar out of pure gold for Lybia and in use throughout Africa, which would have hurt the US dollar, so luckily, Bitcoin is only used online and you’re not an evil dictator (hmmm), right? So, you’ll be safe with your Bitcoins and you’ll now be very rich, indeed. But, as we mentioned the cryptocurrency has been met with resistance from central banks and those that oppose its use, altogether, seeing the currency be subjected to hacks and other niggling problems. Now for some more number crunching about it’s instability, as a result in recent years. In 2013, the online currency soared in popularity reaching a peak of £916 in November, after its initial launch in 2009, however, after numerous hacks and concerns over fraud and online safety, it saw the currency plummet back down to £354 at the start of 2016. So, is it the right time now to finally buy some Bitcoins? Probably not… This would be the worst time to do so. The recent spike in the net value of a single Bitcoin, is mainly due to the surge in demand of its use in China, the most populous country in the world, so that should do all the explaining that you need to know, with in regard to this mysterious online cryptocurrency, which is like the cryptozoology equivalent to “BigFoot” if he was a currency, right now. It weighs a lot, it’s very hairy and sometimes scary (because of the wild shifts in value) plus nobody has ever physically seen one of these mysterious coins, as you can’t ever find one to even hold in your hand, or even confirm that it even exists, much like the great ape, “Big Foot”, apart from on Bitcoin balances, of course. So, Big Foot is sort of like the Bitcoin of currencies, if you can relate those to. Now, we can get back to regretting that we never bought any Bitcoin. Hopefully, we have also ruined your day, too. Previous Article← Can Manchester United Lift The Europa League Trophy And Qualify For The Champions League?